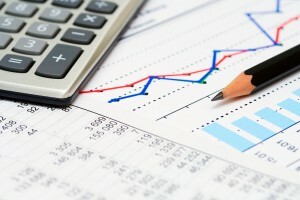 Become Career » What Careers are in Accounting? There are many unique careers in accounting available for students interested in the financial world. These careers include everything being a personal finance assistant to providing financial auditing for major corporations. Accounting is a broad field that encompasses all financial business operations. This can be broken into sub-fields that include tax, financial and management accounting. For example, the goal of financial accounting is to provide outsiders, such as investors or regulators, with internal financial information. Management accounting helps executives make critical decisions through providing detailed financial reports. Finally, tax auditing concerns the preparation and presentation of tax information to official parties, such as the IRS. Fortunately, accountancy has many different degree options available. For example, a Bachelor of Science in Accounting (BSACC) focuses on technical features, such as advanced math, while a Bachelor of Business Administration in Accounting (BBA) focuses on business features, such as management processes. However, both degrees will focus on core competencies regarding auditing, financial data analysis, budget management and accounting information systems, according to the American Institute of Certified Public Accountants. Accounting students also all take courses on federal taxes, financial statements, payroll accounting and internal documentation. However, the specific accounting job determines the actual education requirements. One of the most common careers in accounting is a Public Accountant (PA). They typically work for private firms or consulting companies. Their main role is to review financial data, prepare reports and maintain financial documentation. Many public accountants review financial documents to ensure legal compliance. Many public accountants are also Certified Public Accountants (CPAs). Accountants who work for publicly traded companies must maintain the CPA credentials if they sign and submit financial documents to the Securities and Exchange Commission (SEC). Management accountants oversee the financial operations of the companies for which they work. They are also referred to as cost, corporate and industrial accountants. The financial information they analyze and document is only shared with management and executives in order to make wise business decisions. For example, they may provide an objective cost analysis of an expensive proposed project. If they work for an investment company, they may perform performance reviews of bonds or provide financial advice for potential assets. Government accountants work for local, state and federal agencies. They often perform audits of businesses in accordance with government tax or financial regulations. For example, they may work for the Securities and Exchange Commission and perform regular, random audits of publicly traded companies. Certain government accountants are highly trained auditors that investigate companies suspected of financial mismanagement, such as fraud and insider trading. They must have excellent attention to detail and investigative skills. Tax examiners have the difficult, yet important job of reviewing, auditing and collecting taxes from individuals and businesses. The benefit of this job is that unlike most accountancy positions, there are no official licenses or certifications required. Many tax examiners work for state revenue agencies or the federal IRS. Collecting taxes from resistant parties can be a difficult task. Therefore, tax examiners must have excellent analytical, organization and communication skills. To sum up, accountancy offers excellent career choices that include public, management and government accountants.